One of the most iconic movie cars of all time, a 1968 Ford Mustang GT 390 Fastback – the Bullitt Mustang – is now on special display at ACM through July 14, 2019. NOTE: The Bullitt will be removed from display at ACM May 28 – June 4 while it is featured at The Friends of Steve McQueen Car and Motorcycle Show. 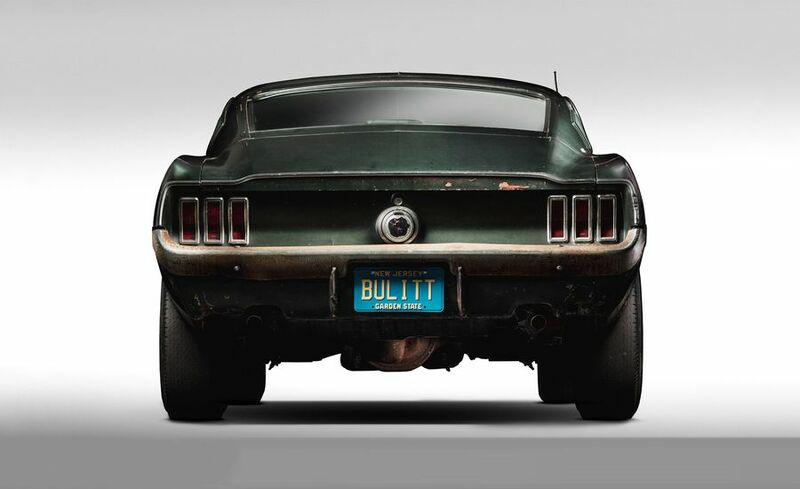 The Ford Mustang piloted by legendary actor and motorsports enthusiast Steve McQueen during the 1968 film Bullitt left a lasting impact on movies and pop culture since the its release. The 9-minute and 42-second chase scene was revolutionary for its time – putting the audience inside the vehicle while driving on actual roads and building suspense without any spoken dialogue. Two Mustang GT 390s were modified for the making of Bullitt – which included a dark Highland Green paint scheme, no exterior badges, scoops or spoilers and adorned with a black-mesh grille absent of Ford’s iconic pony badging. Of the two, this is the only surviving car. While the car would live on as a daily driver for the Kiernan family, it eventually wound up being stored in their garage in Tennessee for years before being resurrected, thanks to the thoughtful recommissioning of his son, Sean. The Bullitt Mustang, still rocking its original paint and remaining largely unmodified, was showcased at the 2018 North American International Auto Show (NAIAS) nearly half a century after the movie premiered alongside a new tribute model from Ford. Following its reemergence at NAIAS, the Bullitt Mustang became the 21st vehicle inducted into the Historic Vehicle Association’s (HVA) National Historic Vehicle Register and its documentation, photographs and history will be archived in the Library of Congress so that future generations can see the car as it stands today.